When building your own home or room addition and acting as your own general contractor you’ll be the one who ends up buying the home construction materials. In other cases you may use a general contractor for building the home or home addition, but elect to buy the home construction materials to save money. Even if you’re using a general contractor who is buying the bulk of materials you may still end up having to select or buy home construction materials such as flooring, appliances, cabinets and lighting. Buying home building materials, however, can be challenging. This said, if you have an architect design your home or home addition, or utilize a kitchen designer then there is a good chance that they’ll at least specify the particular brands, types, and model numbers of various home construction materials that you’ll need to buy. When buying home building materials there are ways that you can obtain some significant savings. First, if you’re acting as the general contractor visit the contractor’s desk of the home materials supply store and request a contractors discount since you’re effectively working in that capacity. In some cases they’ll have no problem providing you with the contractor’s discount. 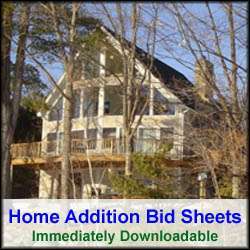 If the home construction project is a small one, however, you may get turned down. From the home construction material supply store’s perspective, it’s all about the volume of business that you give them to warrant the discount. 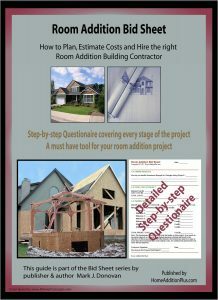 Consequently the bigger the home construction project, the higher the discount and/or the more likelihood they’ll give you a discount. For lumber expect a maximum discount of around 10%, and for lighting, cabinetry and flooring expect around a 15% to 20% discount. Second, if you’re general contractor or home builder gives you an allowance to buy items such as flooring, lighting, and cabinets from a specific home improvement materials supplier make sure you get the general contractor’s discount from those supply stores. Usually you can expect around a 15% cost savings, on average, off of the sticker price of the materials. Make sure your building contract includes language in the contract that states you’ll receive the builders discount rate at specific home construction materials stores on any allowances for home construction material purchases stipulated in the contract. When buying home construction materials in volume demand free delivery from the building materials supplier. If they do not offer free delivery charges then either shop around at different building materials suppliers or get in writing what the delivery costs will be. Also make sure to get your home building materials on time. Particularly when ordering cabinets and other long lead items it’s important to clearly understand when you can expect to have the materials delivered. If using a general contractor, make sure to coordinate between him and the home construction materials supplier the delivery schedules to make sure material arrives shortly before the general contractor needs them. There’s no point in having building material delivered too early, and sit out in the weather and run the risk of damage and theft. On the flip side, you don’t want to be in a situation where your home construction project shuts down due to late building material deliveries. Though most home building suppliers accept credit cards, checks, and cash, it’s often wise to explore their other payment options. Often home construction material suppliers will offer lines of credit that can help you manage your cash flow. They’ll of course do a credit check prior to providing you with a line of credit, however it’s often worth the time and effort. Sometimes, they’ll require it to get a builders discount. Most lines of credit from home construction materials suppliers will give you 30 day terms. Also, they often will offer a slight discount for payments made within 10 days of billing you.